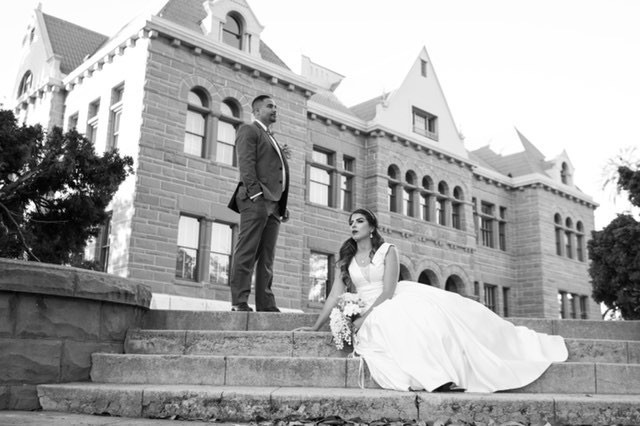 Located on the expansive lot of the Heritage Museum, The Kellogg House is a beautiful and appealing photo destination for its asymmetrical shape, white wood-paneled faux tower, and illustrious dormer. The classic, old Victorian décor emulates a 19th century country estate and is surrounded by beautiful Jacaranda trees, seasonal flower beds, and charming rose gardens, which make lovely backdrops in photos. 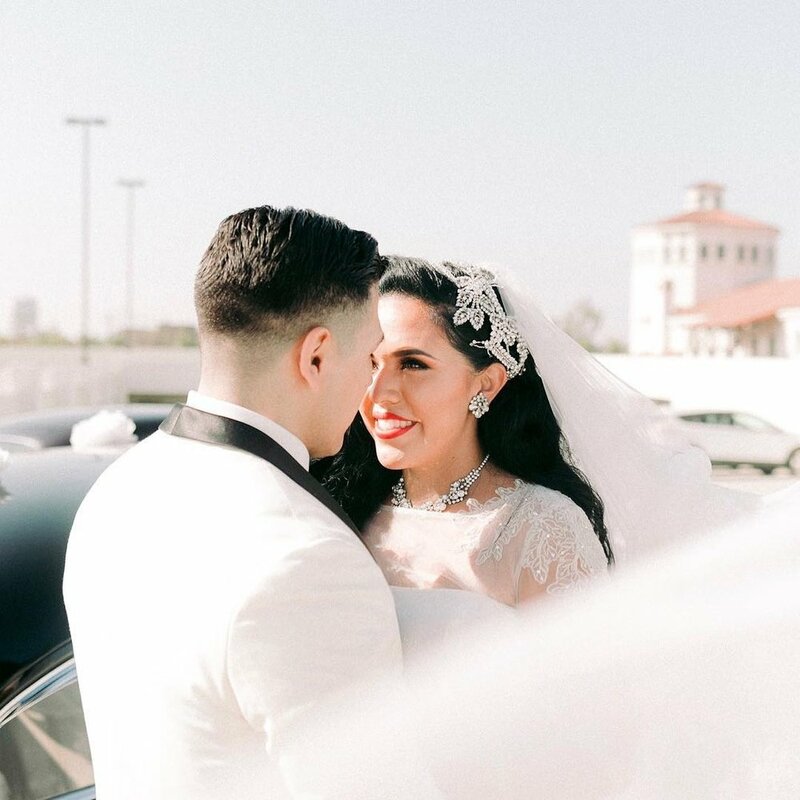 If you’re looking for a setting with stunning works of art, an elegant design, and multiple scenic backgrounds, Bowers Museum is an ideal location! The Spanish colonial mission architecture of the main courtyard has a modern twist which will contrast beautifully in pictures. Their intimate sculpture garden provides perfect lighting and beautiful fountains. Both spaces offer photo opportunities with a unique artistic flair. This California-style train station sports a unique ambience influenced by Spanish colonial revival and Mediterranean revival architectural styles. 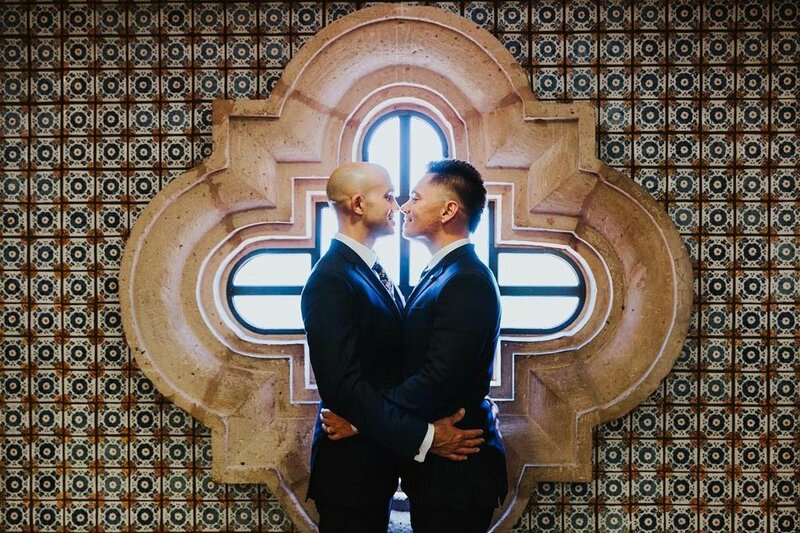 Surrounded by rustic wooden benches, floral-patterned tiled walls and a variety of historic elements, this spot gives your images a charming and slightly nostalgic edge. 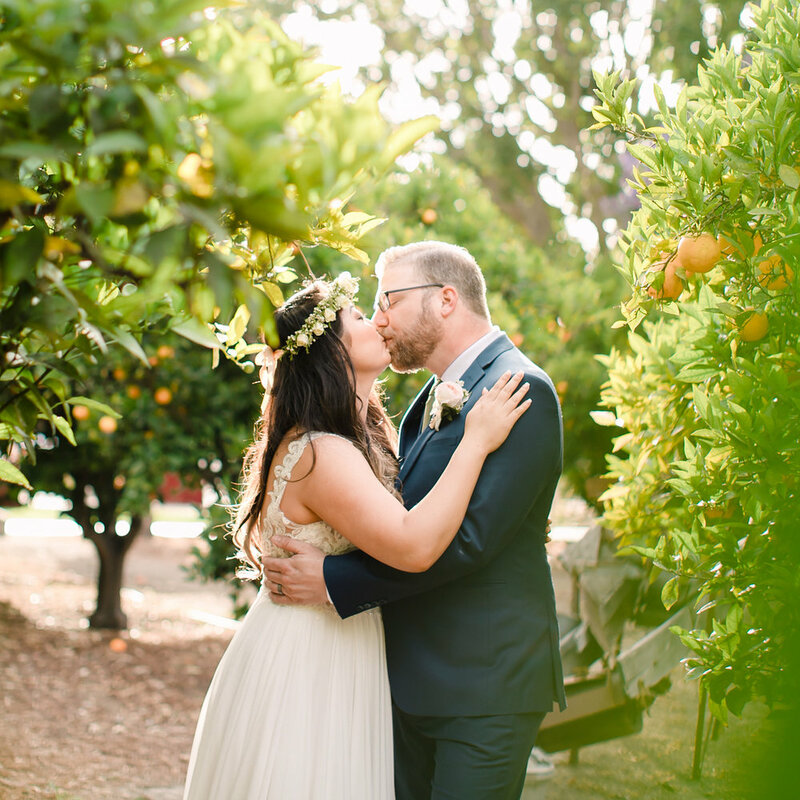 The Hacienda is a quintessential Californian ranch estate offering a variety of accommodations for the special day. The elegant Spanish-style patio is adorned with a beautiful stone fountain and plentiful green ivy. The Outdoor Chapel area leaves a regal impression with its stained glass, wooden interior, and colorful pillars. For those looking for a classic and rustic engagement photo session, the Santiago Creek Wildlife & Watershed Center in Santiago Park is the ideal place. The elegant weeping willows, abundant greenery, refined bridge paths, and stunning golden hour sunsets will give your snapshots a romantic touch. This Southern California landmark is one of the oldest courthouses in Orange County — it’s been considered the traditional home of the county government since 1901. Having been flawlessly maintained to emulate its early grandeur, this sandstone and granite structure boasts high majestic ceilings, elaborate windowpanes, intricate light detailing, and ornate stairways. At the heart Downtown Santa Ana, a beautiful cobblestone courtyard can be found nestled between local favorite’s Lola Gaspar and Gypsy Den. This striking plaza is framed by old historic buildings, contemporary brass statues and a gorgeous Chiarini Marble & Stone fountain. 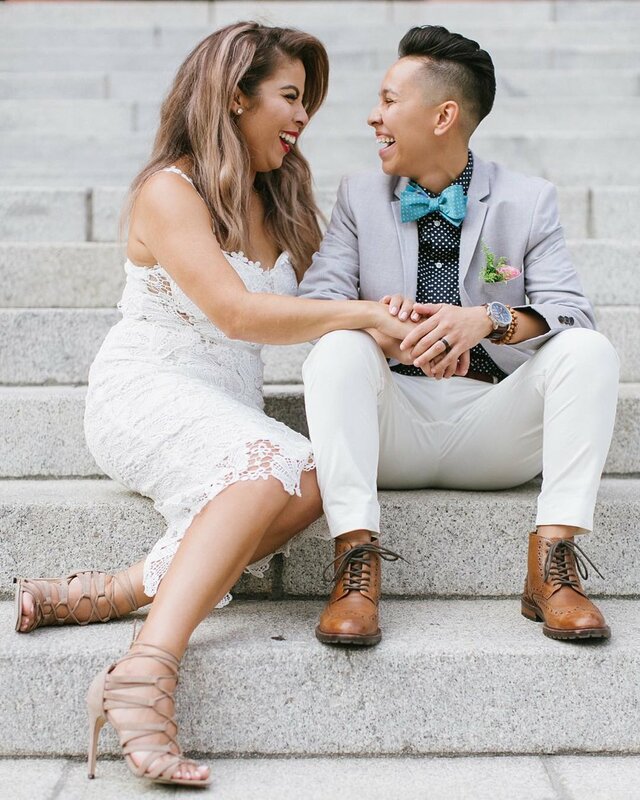 Following the walkway behind wedding venue Estate on Second, you’ll find an inviting alleyway lined with quaint bricks, colorful backdrops, and ivy-covered walls.